An innovative draping palette with blush, highlighter and bronzer all in one pan that blend seamlessly to offer a sculpted, natural look. To sculpt, apply the deeper shade just below the apples of the cheeks, making sure to blend upwards. 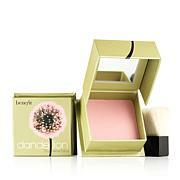 To blush, apply the middle shade to the apples of cheeks and blend in soft, circular motion. 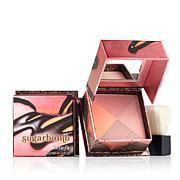 To highlight, apply the lighter shade along the high of the cheekbones and blend towards temple. POLYACYLADIPATE-2, CAPRYLYL GLYCOL, SIMMONDSIA CHINENSIS (JOJOBA) SEED OIL, TOCOPHERYL ACETATE, ALUMINA, TRIETHOXYCAPRYLYLSILANE, MAY CONTAIN/PEUT CONTENIR [+/-]: CI 77891/TITANIUM DIOXIDE, CI 77491/IRON OXIDES, CI 77499/IRON OXIDES, CI 77492/IRON OXIDES, CI 73360/RED 30 LAKE. 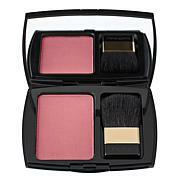 Love the color and easiness of having all in one compact. Can highlight and contour with much more blendable ease. Mid tone skin coloring. Absolutely will buy again. Returned too faced which was more pink for me. I have pale skin with dark hair and any color shows brighter and darker on my skin than it looks in the packaging. I'm able to control the color by layering the 3 shades for a healthy glow. There aren't any other blushes I can say this about. I have fair skin and this shade looks really natural. I love that hightlighter, bronzer, and blush are all in one compact. Beautiful colors for a natural and fresh look. 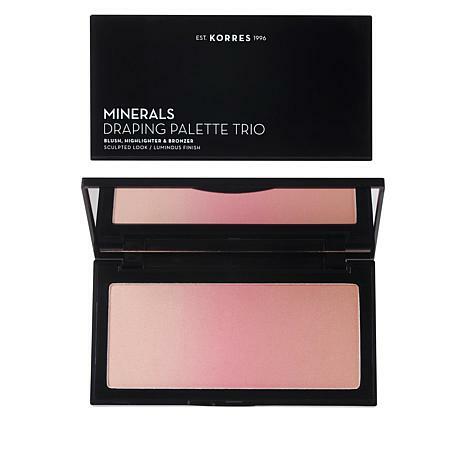 I love everything Korres has and was excited to see this pallete. I hope more is to come. This is a really good blush. I like it because it is not loud and gaudy. I really dont like to look clownish, plus I have very white hair and pale skin. Money well spent.